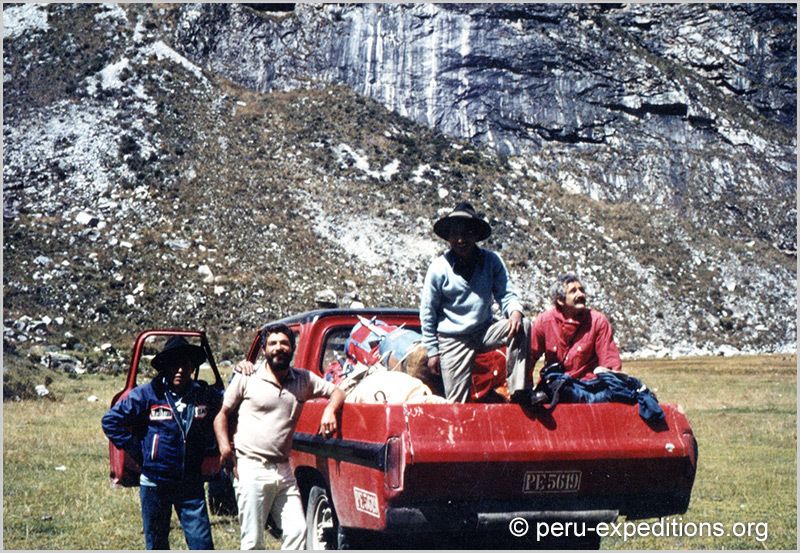 "Peru Expeditions Tours EIRL: International Adventures & Expeditions" Adventure Travel Agency was originally founded by Victor Albino more than 39 years ago. 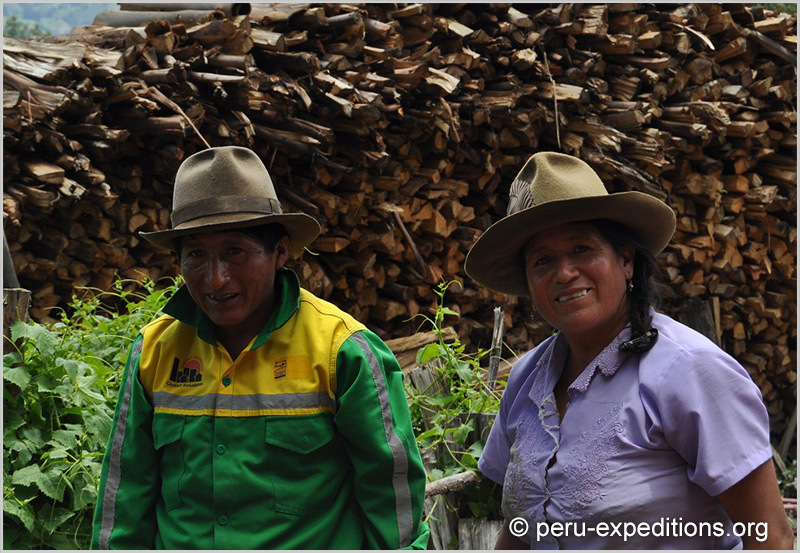 He has worked as a porter, donkey driver, cook and as a guide for European customers. 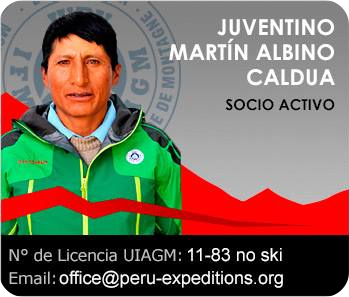 Having so much experience to rely on, his son, Juventino Martin Albino Caldua, who has followed his father footsteps in tourism, started guiding in 1980 an studied 3 years at the “Peruvian School of Mountain Guides - Casa de Guias CEAM - Centro de Estudios de Alta Montaña” Formed under a bilateral agreement called the ‘’ Alps - Andes Project ‘’ between Switzerland and Peru, its objectives are to form professional guides (School of mountain Guides) to be an official mountain guide the AGMP ‘‘Asociación de Guías de Montaña del Perú’’ belongs to the UIAMG (Asociación Internacional de Guías de Montaña de todo el Mundo), which ensures dedicated, professional service. Juventino was born in 1960 in Huaraz, Peru. 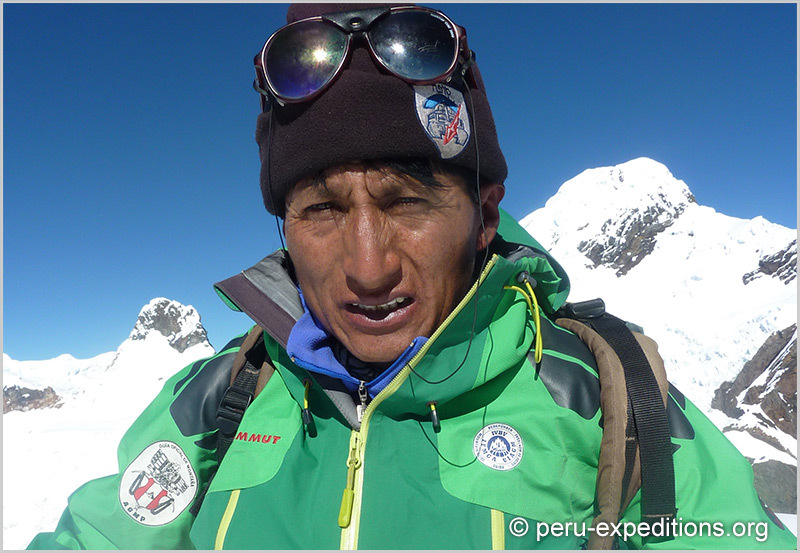 At the age of 15 he was introduced to mountaineering by his father during the trips with his clients. 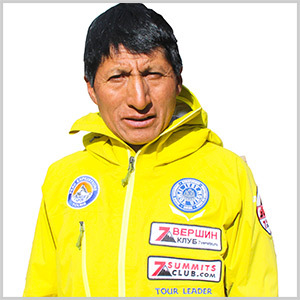 Since that time his passion of the mountains has grown, and he continued to work in the mountains earning his international mountain guide certification (IVBV-IFMGA-UIAGM) in 1982. 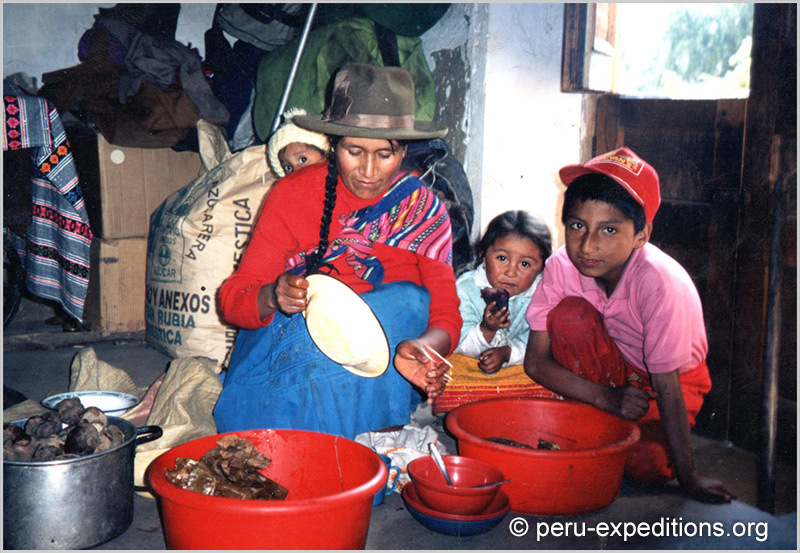 In 1978 he co-founded Peru Expeditions with his son Eric. 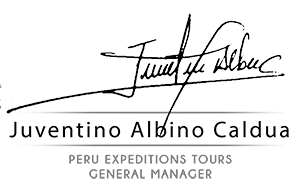 Juventino continues to guide, and help with the organization and execution of expeditions and treks. 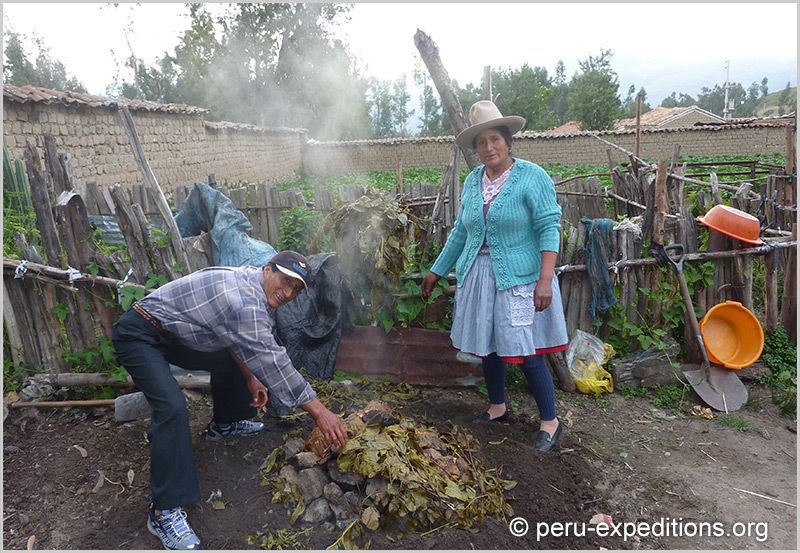 Juventino also leads a traditional Peruvian life with his wife in the village of Unchus, just outside of Huaraz. 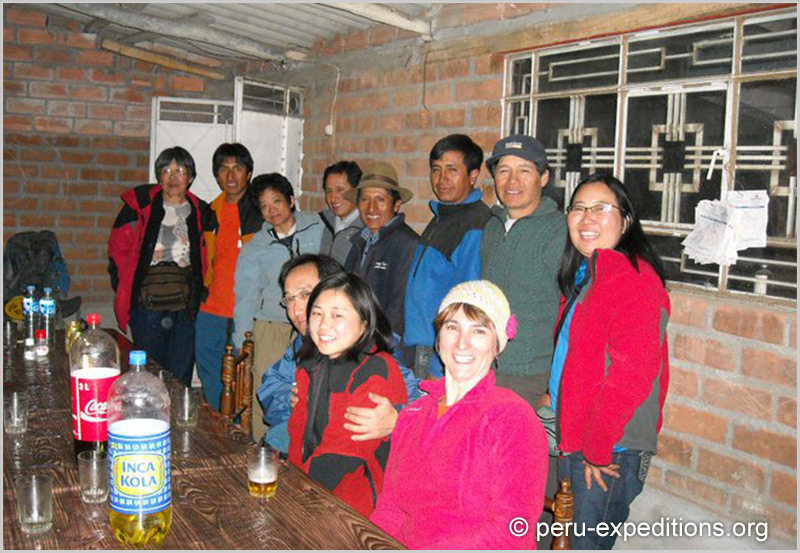 Juventino’s well-respected reputation and knowledge have helped Peru Expeditions to grow to be a safe, an honest, and a professional company, as it is today. 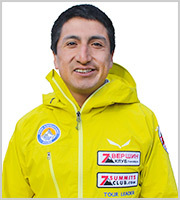 He speaks: Quechua, Spanish, some English, Italian and French. 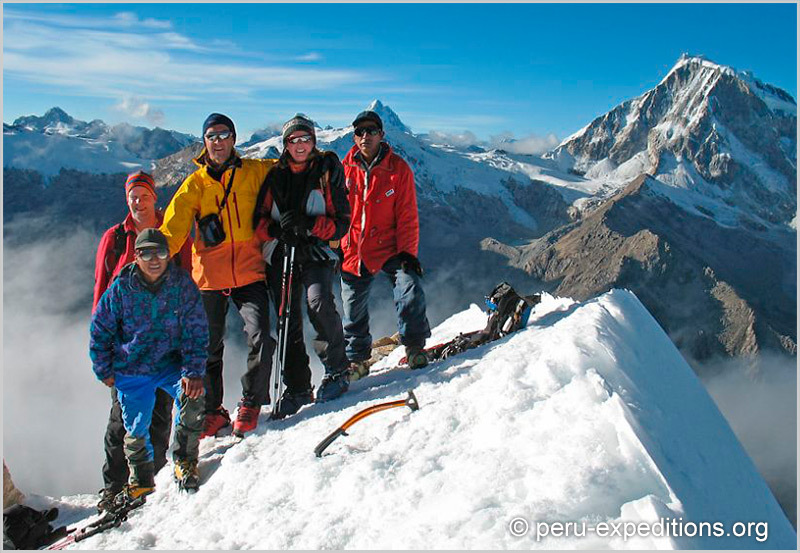 In Peru: In Peru: Includes Huascaran Nort (6655 m) x 50 y South (6768 m), Alpamayo (5947 m), Artesonraju (6025m), Tocllaraju (6034m), Nevado Maparaju (5326m), Ishinca (5530m), Vallunaraju (5686m), Nevado Pisco (5750m), Urus ( 5945m), Diablo Mudo (5300m), Mapararaju (5326 m) and many more!. 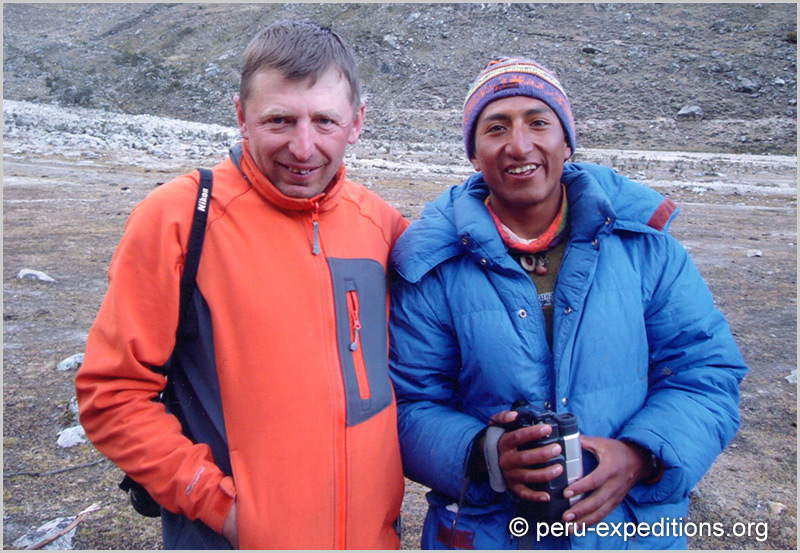 Since completing his studies, he has worked intensively with the European Guides, members of the UIAGM, organizing expeditions to the Cordillera Blanca and Cordillera Huayhuash in the Ancash State, Peru. 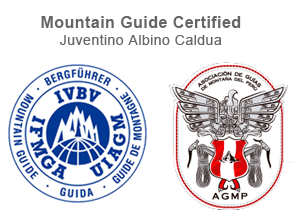 At the moment he is a member of AGMP - UIAGM as a Professional Mountain Guide. Juventino has gathered an immense amount of experience by working with his father and foreign associations. 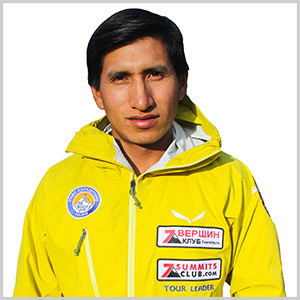 He has founded the Adventure Travel Agency “Peru Expeditions” in South America and manages the business as the General Manager.
. Juventinos has 3 sons, Eric Albino Lliuya is the oldest one, who is 33 years old and is from the same “Peruvian School of Mountain Guides - Casa de Guias CEAM - Centro de Estudios de Alta Montaña”. Eric has followed his father footsteps in tourism. Eric has also a broad climbing experience and has made ascents of different peaks in the Alps in Europe. 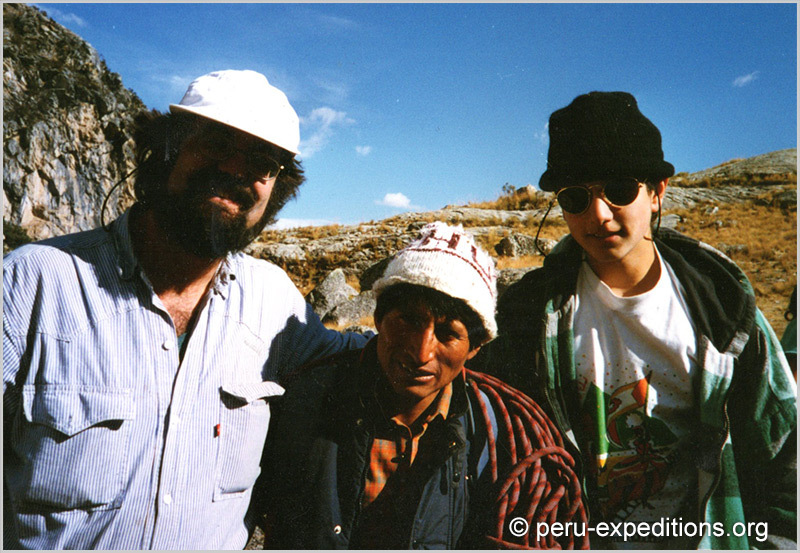 Eric was inspired by the mountains at a very early age from trips taken with his father and grandfather. 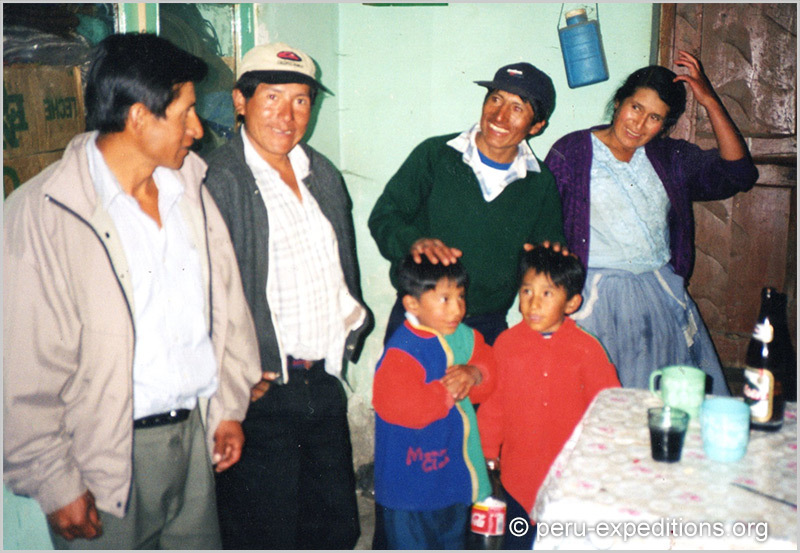 At age 18 he began working as a trekking and mountain guide to support his father Juventino, who is an AGMP-UIAGM mountain guide, with his expeditions. 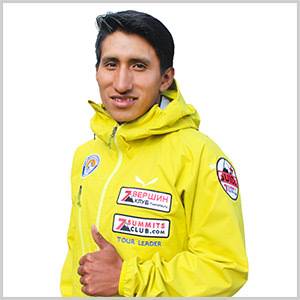 Since his initial inspiration , Eric has had multiple certifications including earning his mountain guide certification at Estudios de Alto Montana (CEAM). 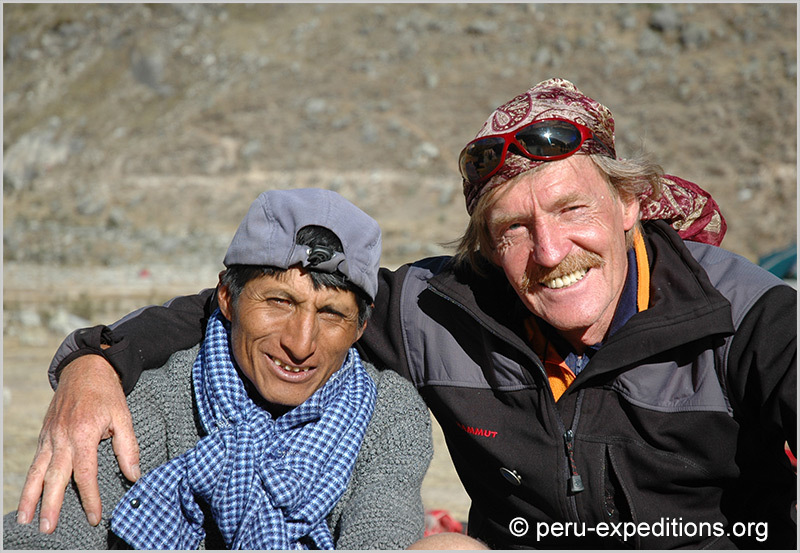 Eric has had a very successful career as a mountain guide. 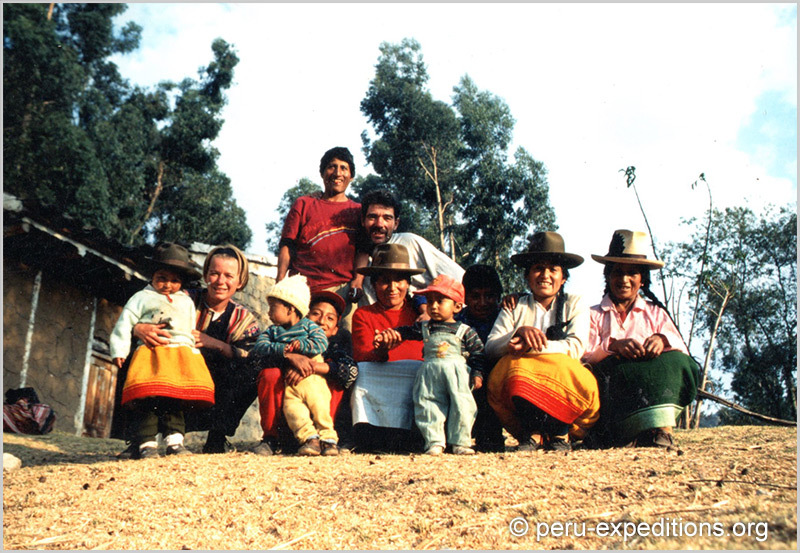 He has climbed and led expeditions throughout the Andean countries of South America including Ecuador, Bolivia, Chile and Argentina. He has also led tours in Europe including Germany, Austria, Italy, and Switzerland. 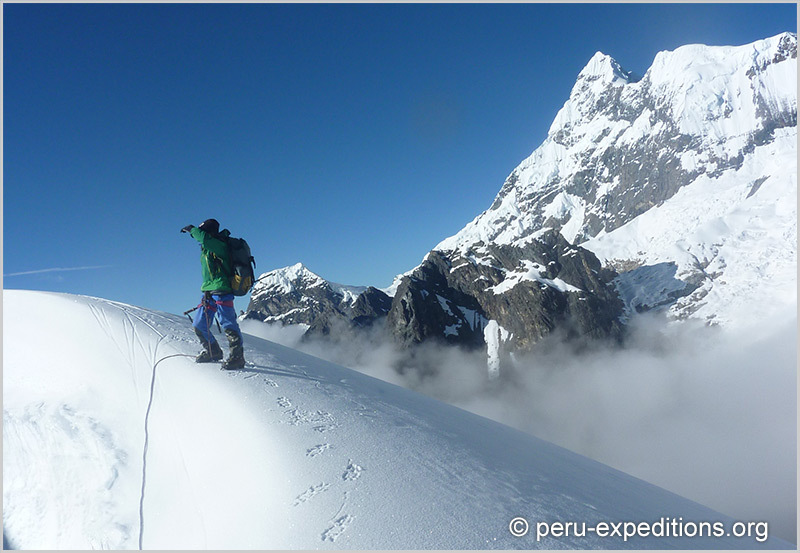 Eric has completed multiple first routes and was featured in the American Alpine Journal for his new route on Nevado Ranrapalca. 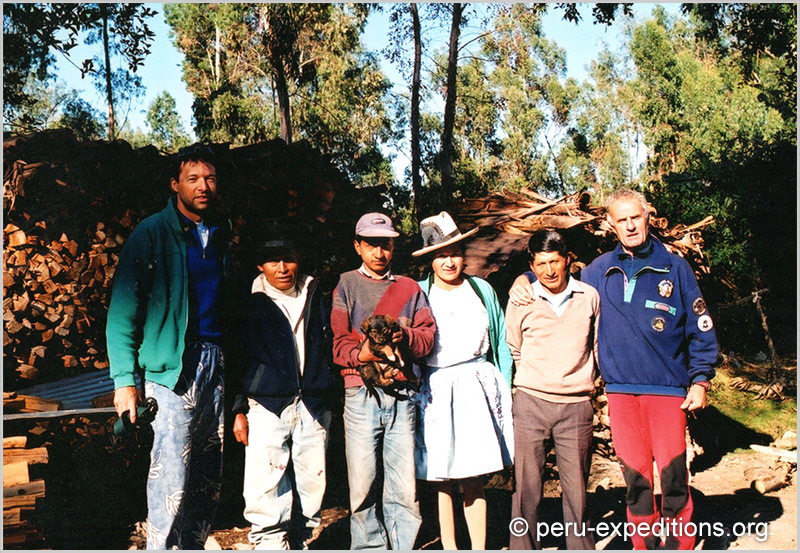 His professional experience in leading groups of all ages and expertise, along with his continuous education allows him to practice professional ethics in both guiding and organizing expeditions. 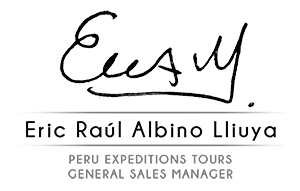 In addition to his mountaineering career, Eric has over 15 years of managerial experience in the tourism industry.. 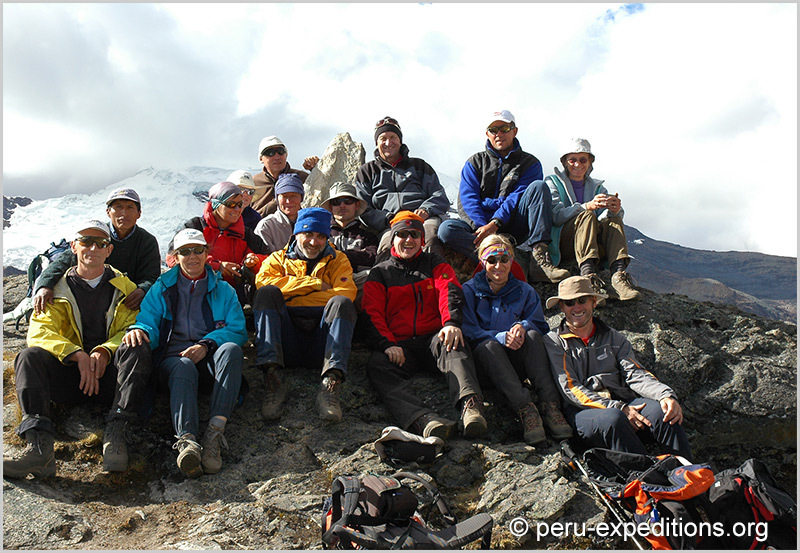 This multi-faceted experience allows Eric to deliver exceptional service as he has an indepth understanding of how to properly organize a professional expedition from start to finish. 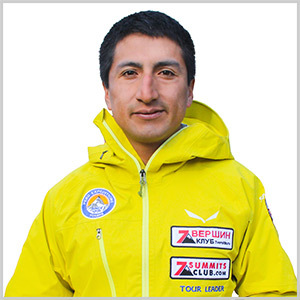 Eric Albino Lliuya follows with new destinations as well as a tour leader in different countries in South America. Eric at the moment is a member of AGOMP (Asociación de Guías Oficiales de Montaña del Perú) as a Professional Mountain Guide. » click here → View Full Bio. 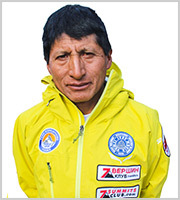 He speaks: Quechua, English and some French. Currently, he is also learning German. 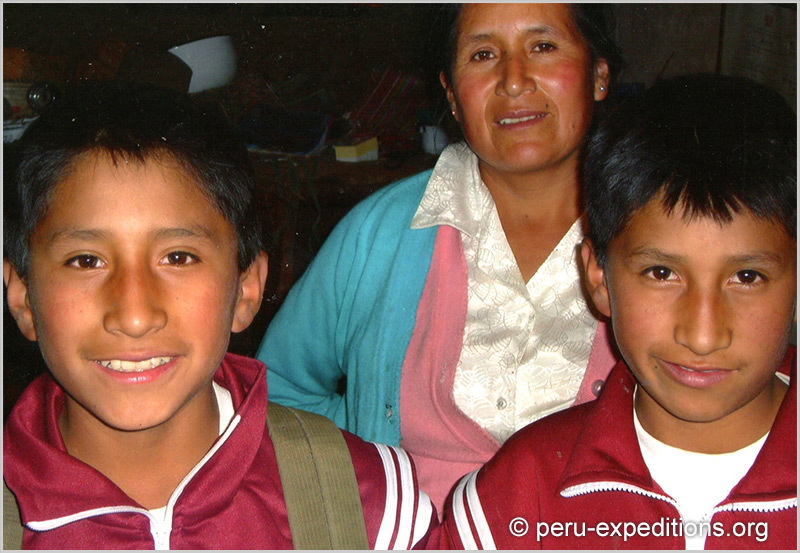 The other 2 sons of Juventino are twins, Edwin and Elmer. 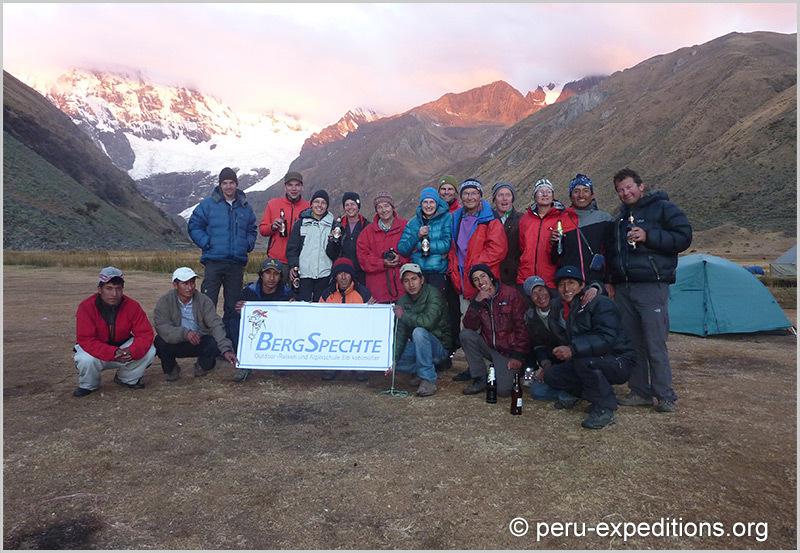 They are 23 years old and both studying for official trekking guide certifications. Juventino’s son - Biography information » → soon online! 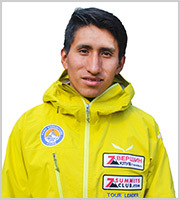 He speaks: Quechua, Spanish and learning English. 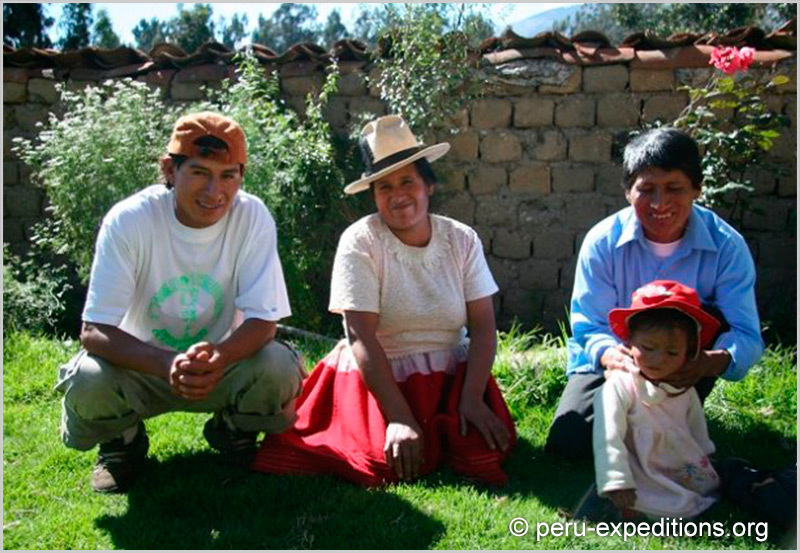 In Peru: More information » → soon online! Juventino’s wife - Biography information » → soon online! 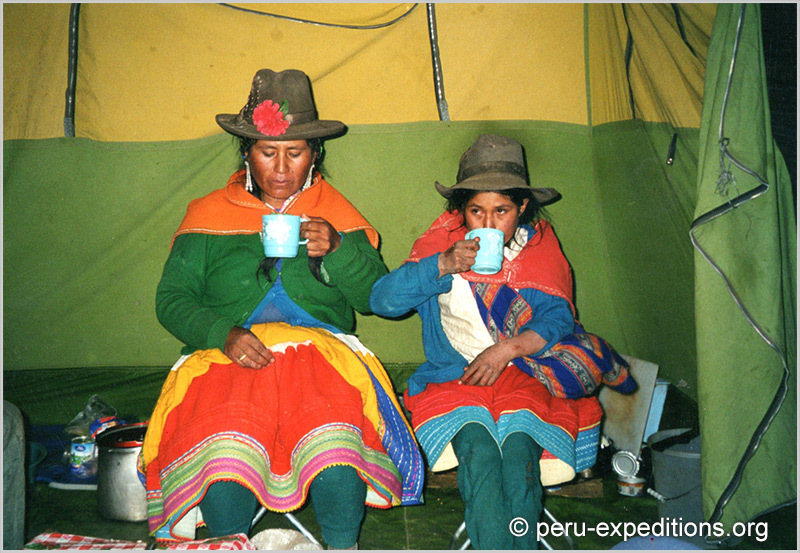 She speaks: Quechua and Spanish. Mary is an avid trail runner, mountain biker, climber, and outdoor enthusiast. She grew up in the Northwoods of Wisconsin where her love of nature began. 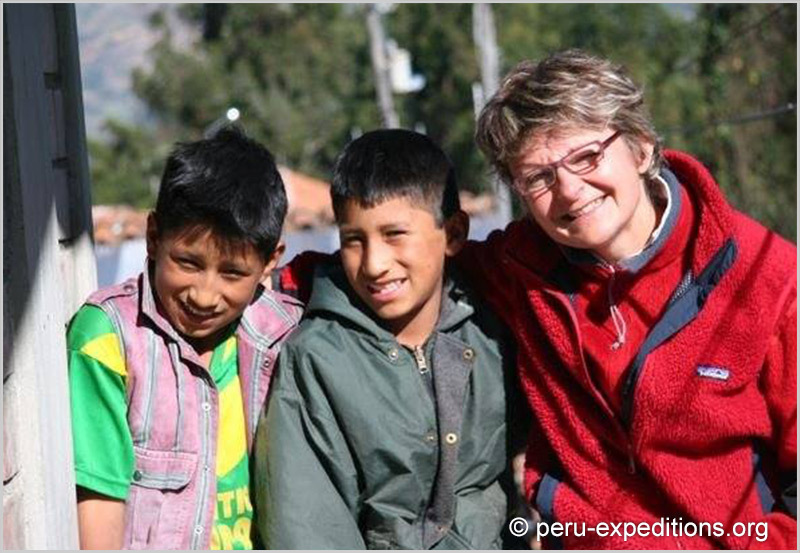 She has spent multiple months in Huaraz with Peru Expeditions where she both trekked and climbed throughout all of the Cordillera Blanca and Huayhuash. 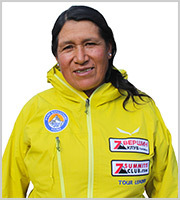 She has summited mountains, and competed in trail races in the US, Alps, and Andes. She attended University of Wisconsin Madison, where she earned her BBA and Masters in Accounting. 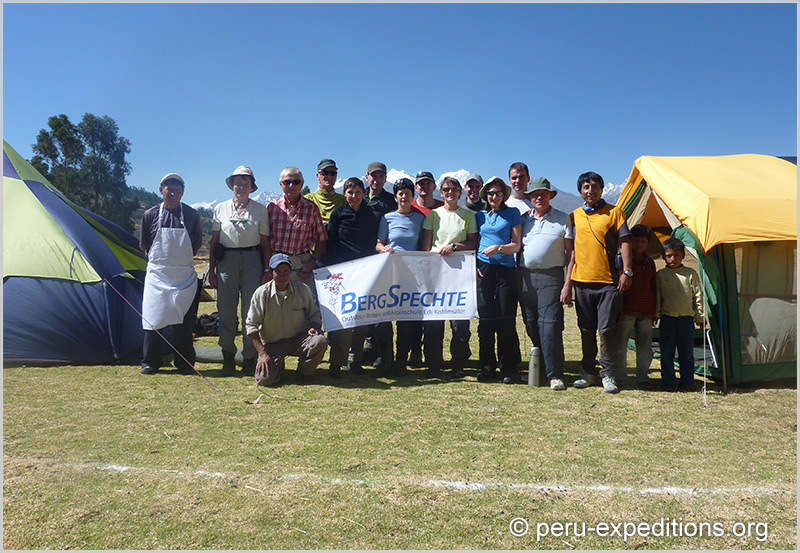 She specializes in logisitics for Peru Expeditions, specifically for the US. 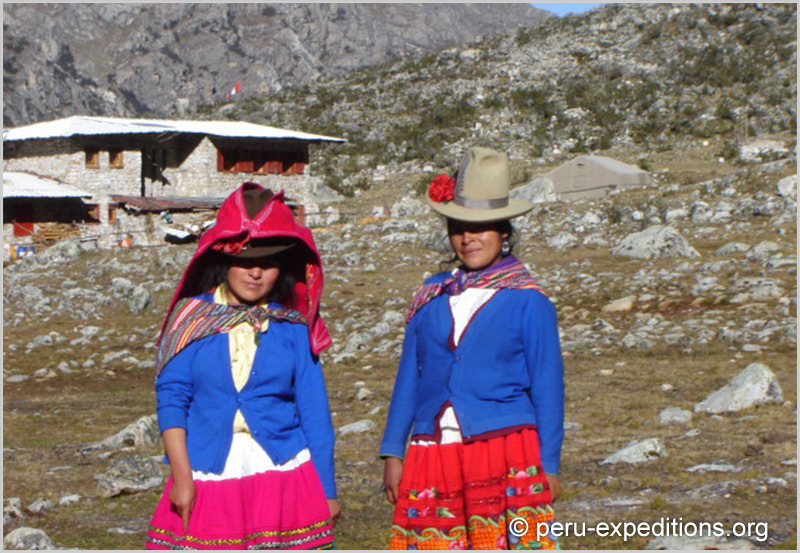 Her education in business management, and her time in Huaraz and knowledge of the Cordillera Blanca and Huayhuash give her the experience to effectively manage your travels. She speaks: English and learning Spanish. Justyna is a vivid athlete and an outdoor woman. 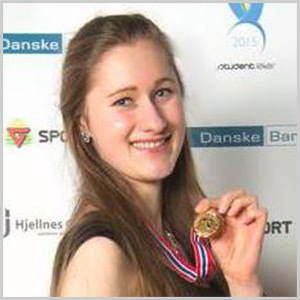 On a daily basis she does multiple sports from long-distance running, climbing, hiking to cycling. Mountains have always played an important role in her life. Numerous hiking trips in the childhood has led her to finally turning her attention to climbing and mountaineering, which she is the most passionate about. 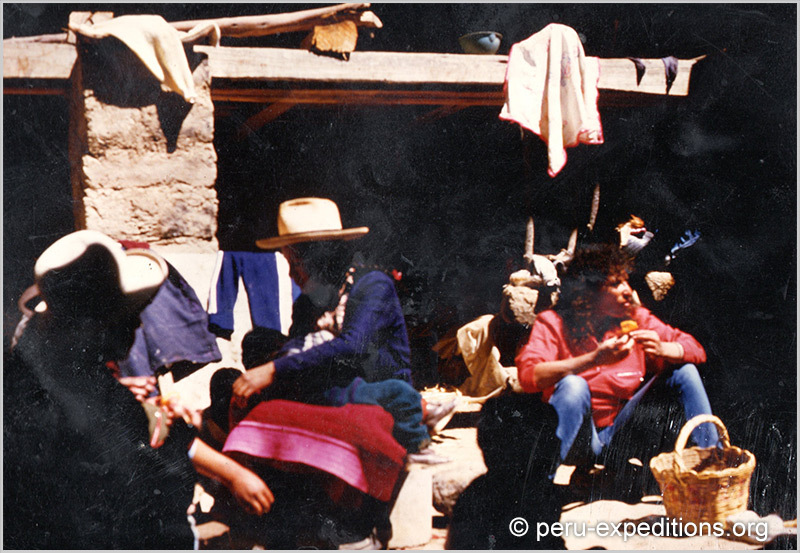 During her first visit in Peru she felt in love with the Andes and now comes back whenever possible. Originally from southern Poland, nowadays living in Norway. 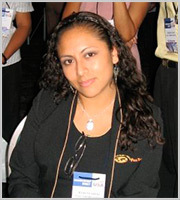 She holds an Engineer’s title in Computer Science and is currently finishing her Masters degree in the IT field with specialization in web accessibility. 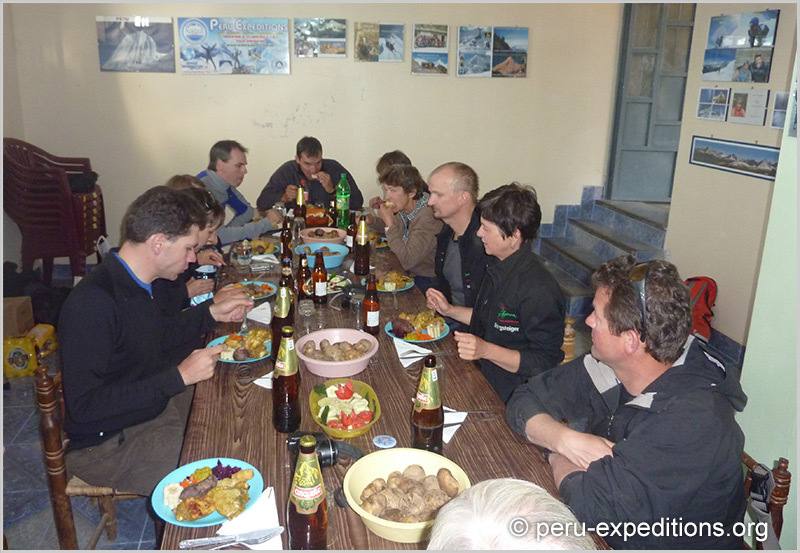 In Peru Expeditions she takes care of our European clients and coordinating their trips. Besides, she has an expertise in project management and team leadership, which she actively applies to make sure the tours are crafted to their needs. In addition, she speaks fluently 4 languages. She likes to make a positive change to the world. 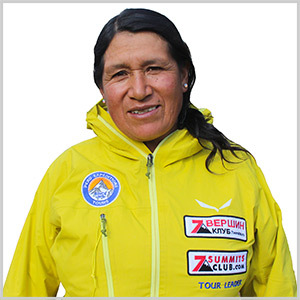 Therefore, she is also a part of the Mujer Montaña project, that aims to popularize mountain sports among women. In her spare time you can find her dancing salsa or taking photos in Norwegian fjords. 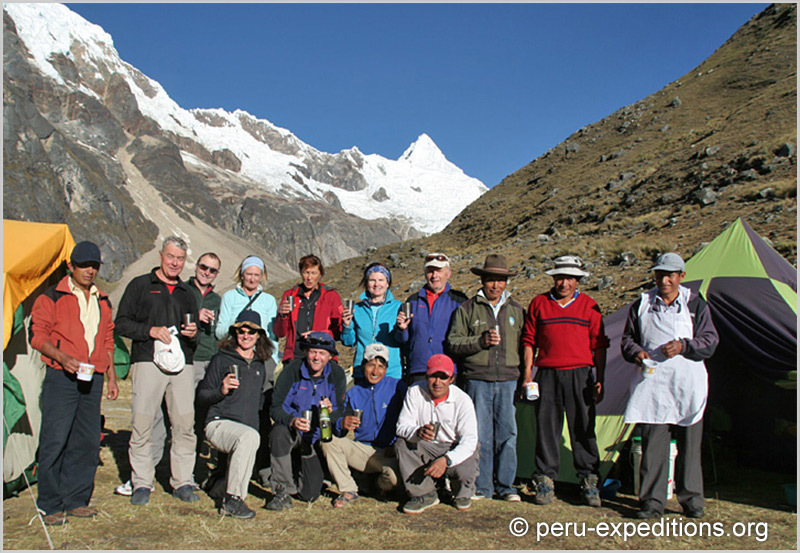 In Peru: Alpamayo (5947 m), Nevado Pisco (5750m) x2, Vallunaraju (5686m). Some climbing in Tatra mountain (Poland) and Norway. 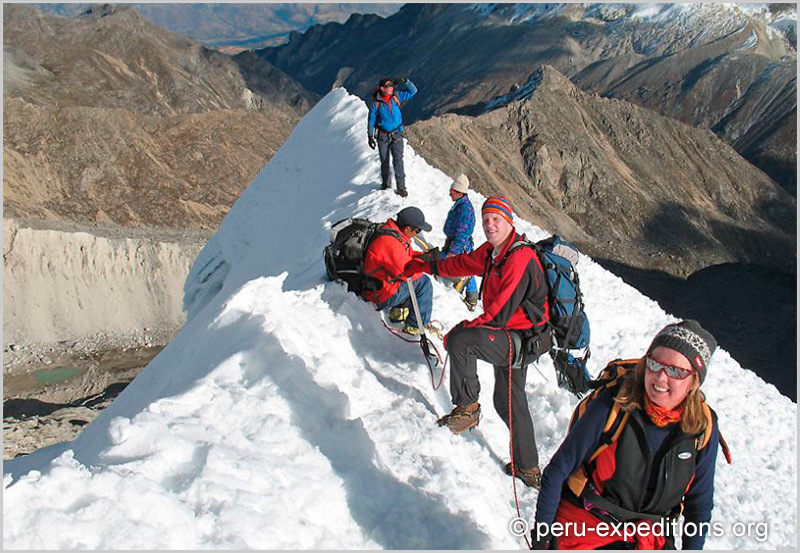 Hiking experience: Peru, Tatra mountains, Austrian Alps, Scandinavian mountains. 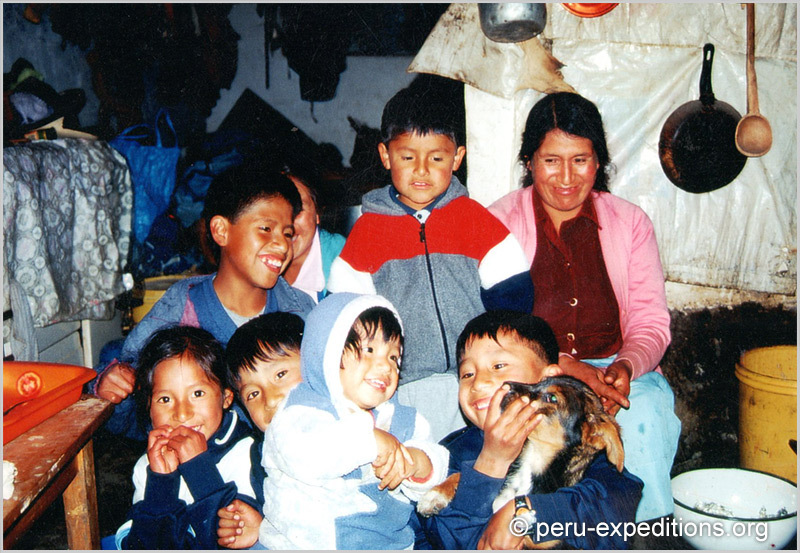 We work in tourism for many years, our children today are already the third generation as working in the Cordillera Blanca and Cordillera Huayhuash. 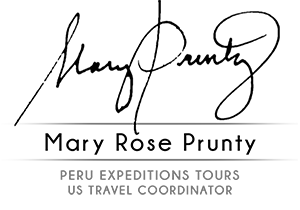 Our past year was a great season/time together with one of our main partners from Austria: Edi Koblmüller founded "Das BergSpechte" in 1978 and was until the takeover/bought by Hauser Exkursionen (one of the biggers companies in Germany), on 1rst July 2014. Successful boss Specht. 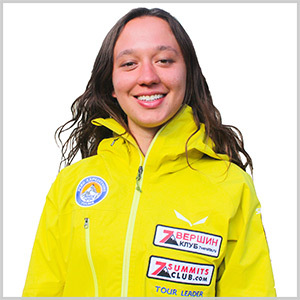 Edi Koblmüller † On 16 April 2015 at the Kazbek fatal accident in Georgia. On Thursday, April 16, 2015, we received the sad news and are deeply concerned that "Altspecht" Edi Koblmüller had an accident with a tragic accident fatal along with a trip participant a ski group of BergSpechte. The two casualties were most 16/4/2015 afternoon in ice of the (5047 m) high Kasbeks in Georgia found dead and then rescued with a helicopter. According to information from the group came Edi Koblmüller and the participant in a snowstorm and were forced to spend the night outdoors. Edi Koblmüller, who led the group as a mountain guide, one of the best known and most experienced mountaineers in Austria - with 5 eightthousand ascents and many first ascents he is considered a great mountain pioneer of his time. Our thoughts are with the families and friends of the victim! † On 16 April 2015 at the Kazbek fatal accident in Georgia.